From left, Bobby Valentine, Mika Brzezinski, Aaron Eckhart and Curt Welling. The 24th annual AmeriCares Airlift Benefit on Oct. 1 raised $1.4 million for the organization's relief efforts in over 90 countries. 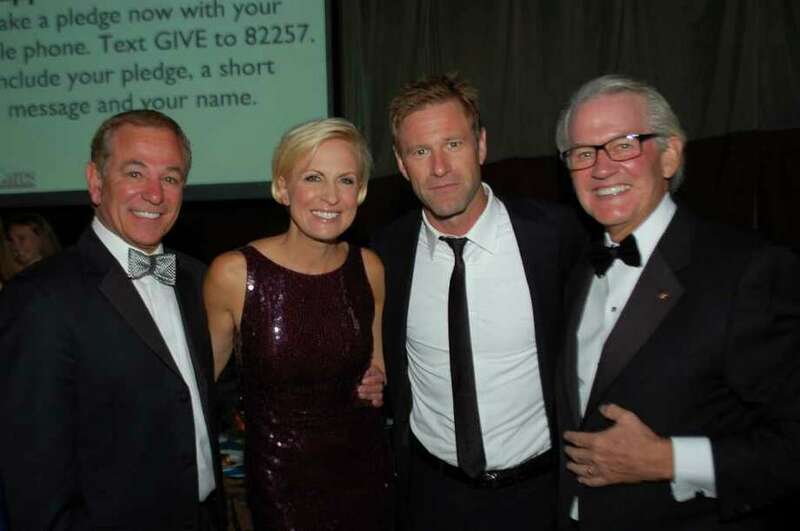 Mika Brzezinski of MSNBC's "Morning Joe" emceed the sold-out event attended by more than 700 guests, including actor Aaron Eckhart and former New York Mets Manager and ESPN Analyst Bobby Valentine. The evening culminated with 75 guests boarding an airlift flight to the Dominican Republic to observe AmeriCares aid programs in action. The theme of this year's gala, held at the Panorama Hangar at Westchester County Airport, was "Humanity in Action" highlighting AmeriCares disaster response work from Japan to Joplin, Missouri. "We are grateful to have such loyal supporters who, year after year, make this a memorable and meaningful event," said AmeriCares president and CEO Curt Welling. "The proceeds from the gala ensure we have the resources to send aid whenever and wherever it's needed around the globe." AmeriCares is a nonprofit global health and disaster relief organization which delivers medicines, medical supplies and aid to people in need around the world and across the United States. Since it was established in 1982, AmeriCares has distributed more than $10.5 billion.